Non-conductive fiberglass rails make this extension ladder an intelligent choice for working around electricity. 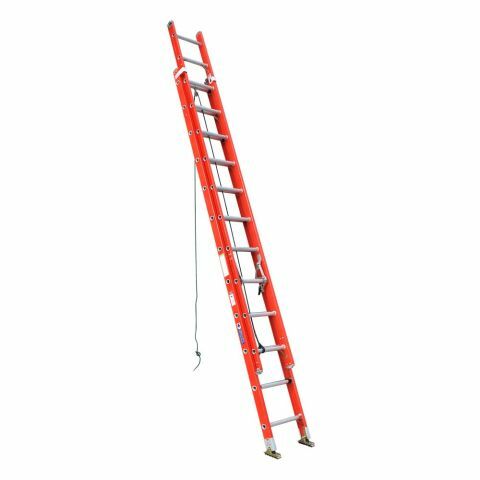 In addition to being used as an extension ladder, the two sections can be separated, and the base used as a lighter-weight 16 foot ladder. Maximum duty rating is 300 pounds.